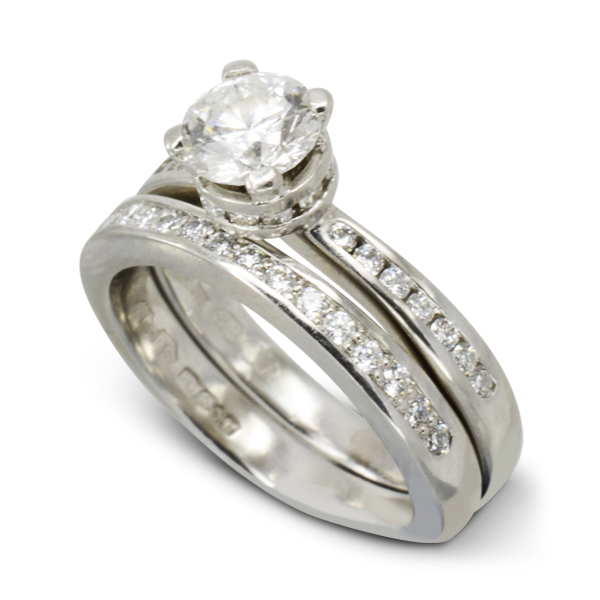 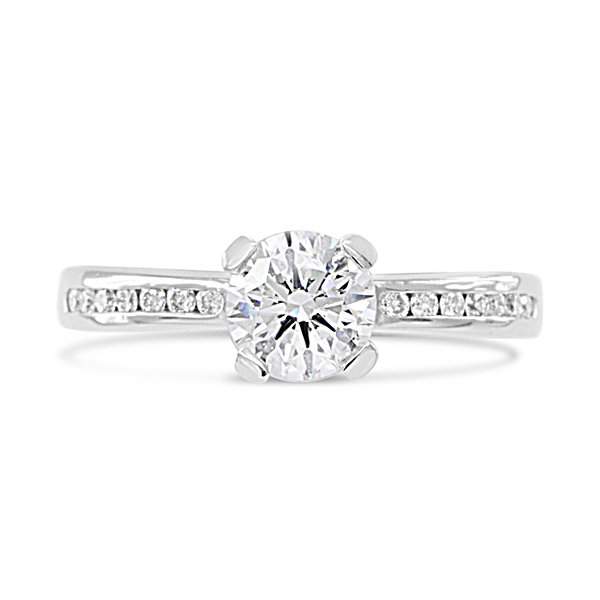 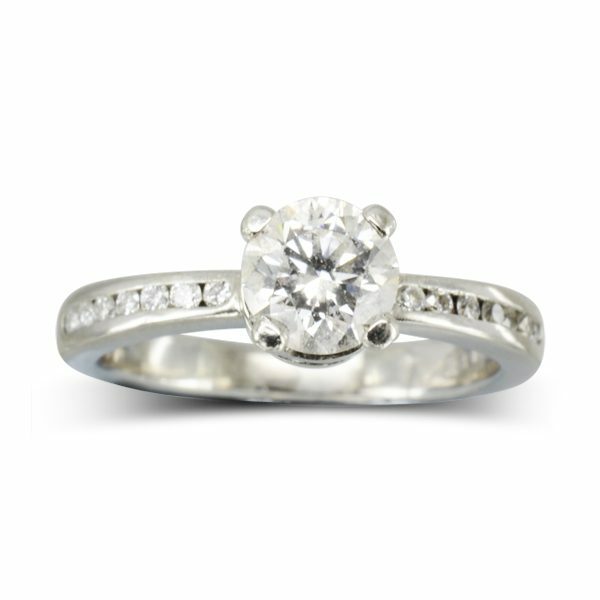 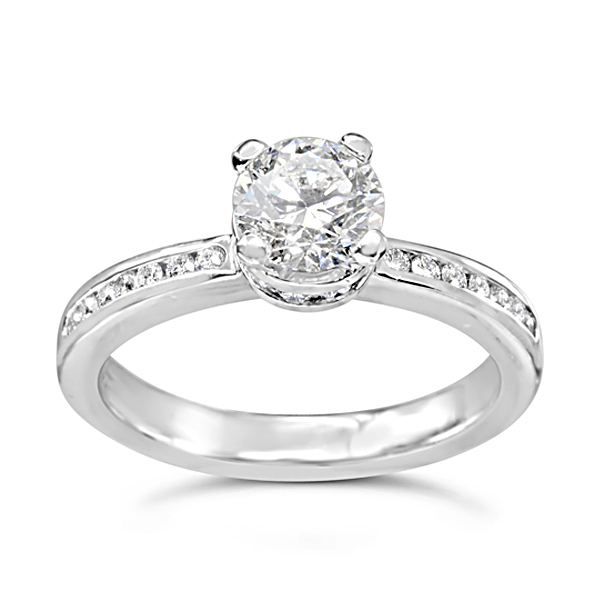 A diamond bouquet engagement ring in platinum. 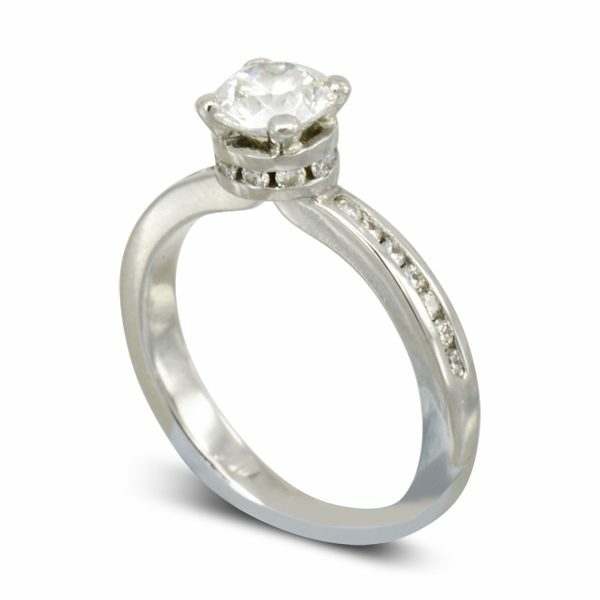 A 0.6 carat central diamond and channel set diamond sides. 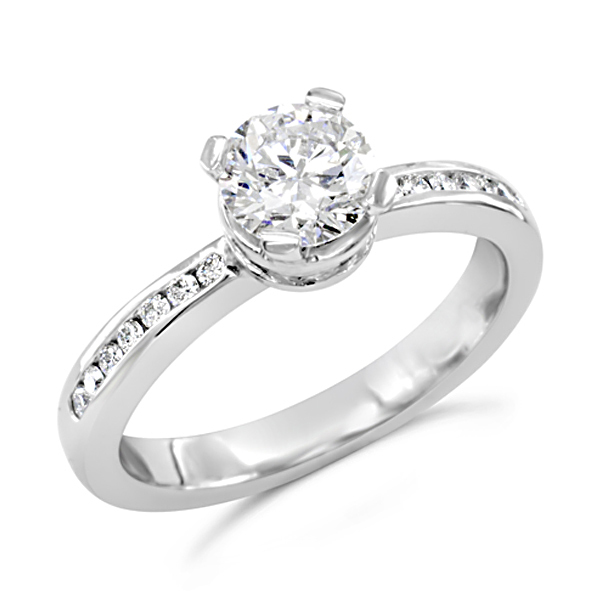 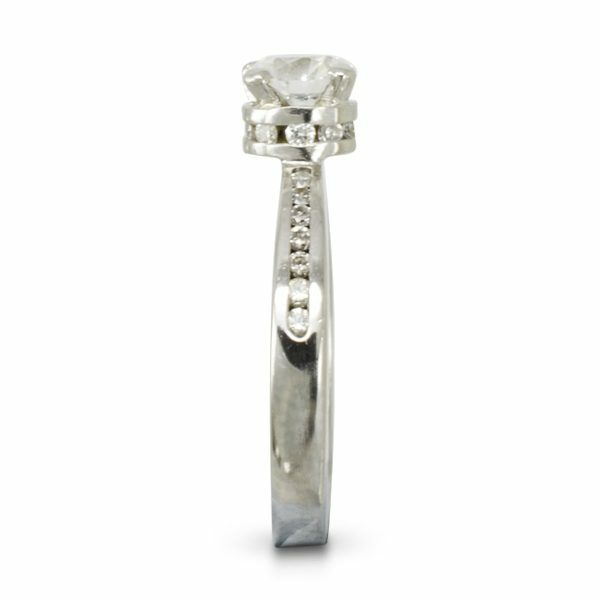 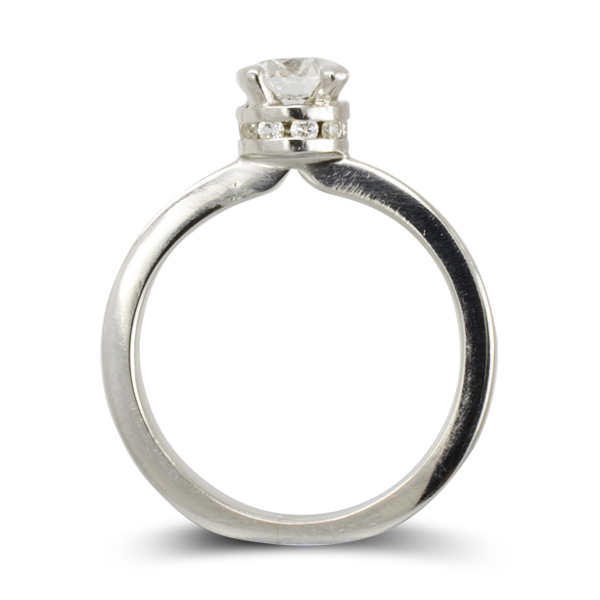 A ring of diamonds encase the base of the claws as if they were flower stems below the centre stone.